For a light and breezy read to break up the monotony, I resorted to this book. Wodehouse never disappoints. Although this isn’t one of his best works, it does the trick to infuse some light-hearted mirth. 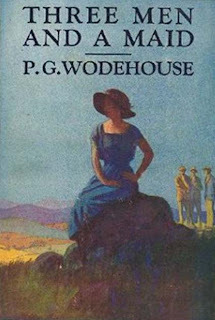 Nothing and noone soothes me better than Wodehouse. The novel revolves around three men and the turn of events in their romantic lives. They are all connected to each other through some fortuitous or unfortunate circumstances, and at the center of it is one volatile girl. What follows is some chaos and drama before all becomes well. Flighty idealistic girls break hearts, strong-willed women nurse and rule, and peace-loving English gentlemen are inconvenienced by the whole lot. I must say that the writing style in this earlier book of his is quite different from the usual. The humor is more sarcastic, subtle, and the descriptions are a little restrained. But regardless, it is still a fun book. 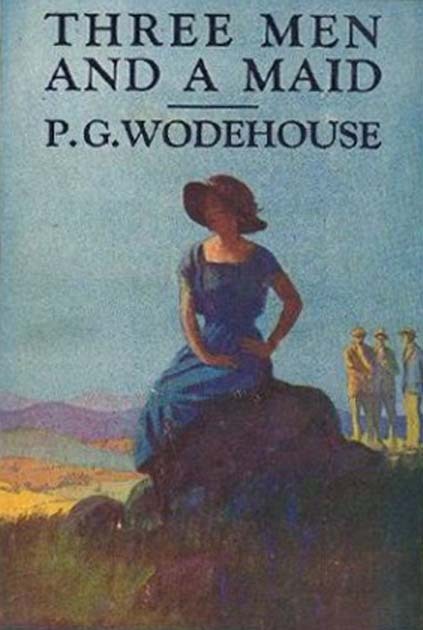 A classic Wodehouse tale filled with chuckles. Happy New Year! It's been a while since I stopped by/posted a message here. Sumi, Happy New Year to you and your family as well! I'm doing well, thank you :). How is the New Year treating you? Haha, Wodehouse does aim to create pretentious characters - the humor is developed around them. But I understand that his style doesn't appeal to everyone. I appreciate that you gave it a shot! I just have a problem with pretentious humor I think, even when that's the whole point. lol. For e.g., it's the same feeling I get when I watch the TV series Frasier. Though it's set in Seattle, I often can't stand it!